A relaxing tour accompanied by beautiful natural beauty. The biking tour starts in Omiš (Cetinska cesta 30) according to a pre-arranged time table. Taking over the bike, meeting with the guide, a short briefing, testing bikes and your adventure can begin. 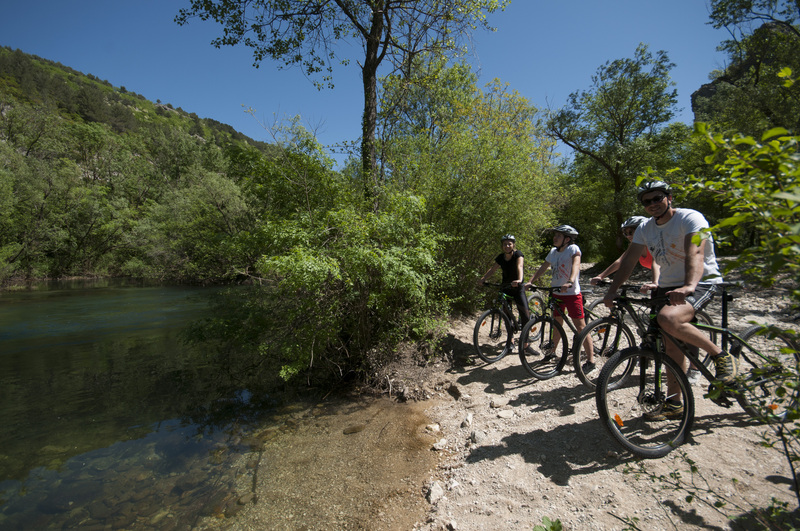 A leisurely ride on flat terrain near the river Cetina brings us to Kaštil Slanica, which has a rich historical significance. We continue driving on the steeper part to the source of Dobra Voda. After refreshing at the source we descend to Radman's Mills, where we take a break for sightseeing and swimming in the crystal clear river Cetina. After Radman's Mills you can go back to Omiš where your trip ends,or stay in the restaurant Kaštil Slanica and taste homemade autochthonous products, such as Dalmatian prosciutto, Dalmatian beake or beef stew and of course wine and olive oil tasting . Food and drinks are not included in the price and if you want it it needs to be emphasized when booking the trip. What to bring: water, some snacks, sun proctection (suncreme, sunglasses, ..), sports clothing, swimsuit, towel and some extra clothes. It is recommended for families and beginners. To take with you: water, some snacks, sun proctection (suncreme, sunglasses,..) sports clothing, swimsuit, towel and some extra clotes..
You do not need previous experience. Emphasize if you want food and drink.